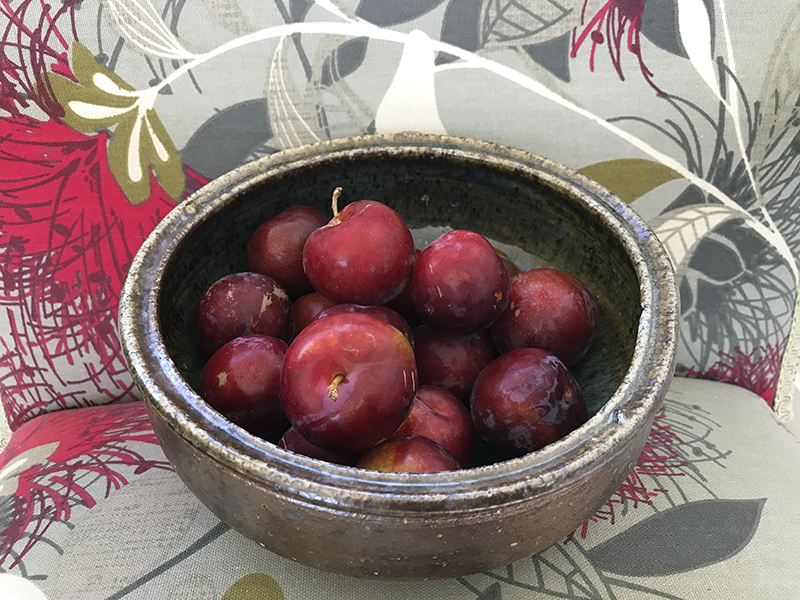 What could be more evocative of a Coromandel summer at the bach than plums? 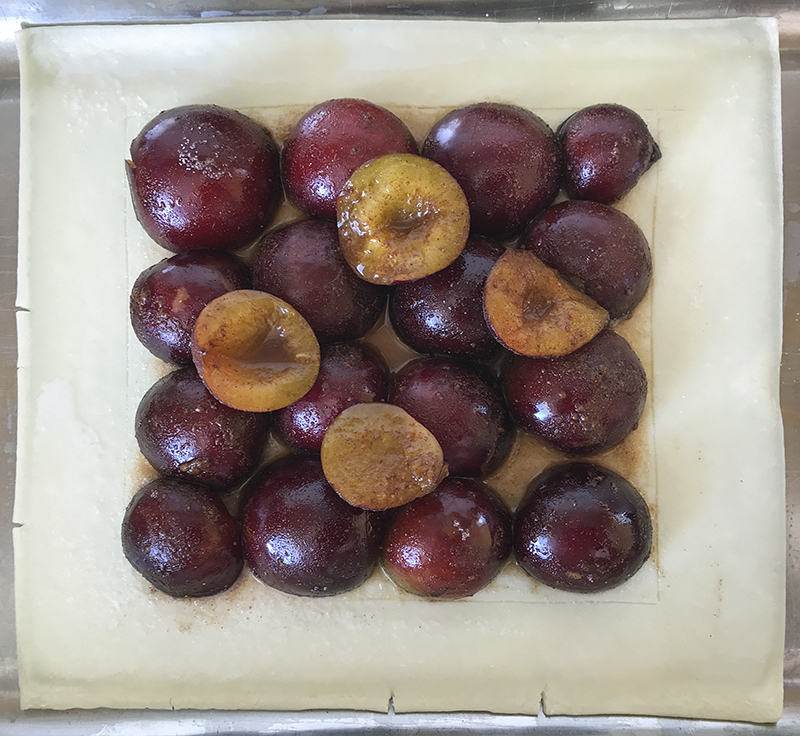 Here’s an plum tart that is simple to make, but looks festive enough for any occasion! 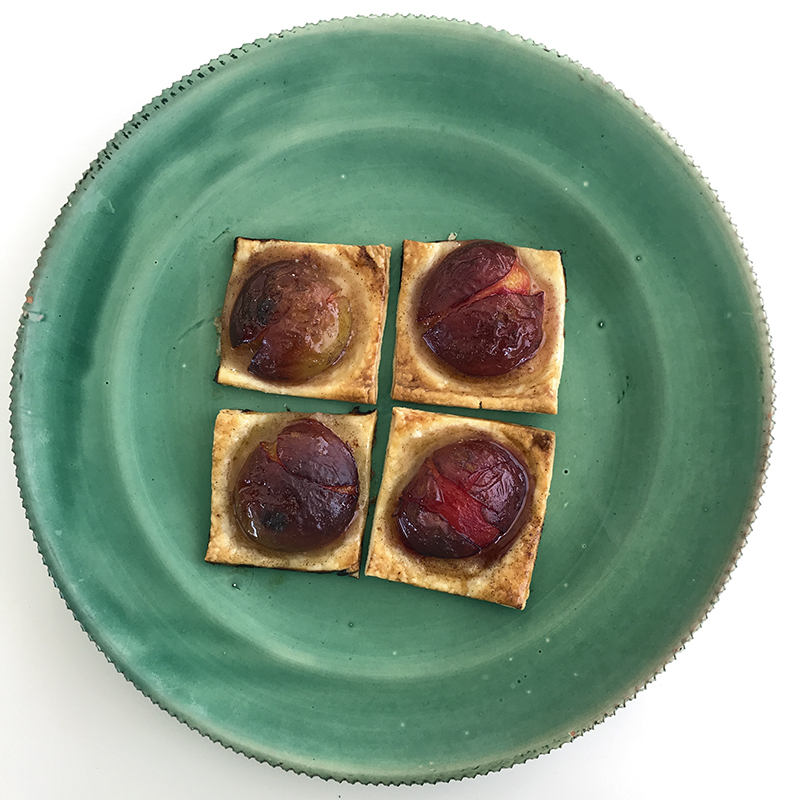 The great thing about this recipe is that you can bake one tart or you can cut the pastry into smaller pieces before you cook it to make individual plum tarts (perfect finger food). Enjoy! Rub a little butter over a baking tray and place the sheet of flaky pastry on the greased tray. 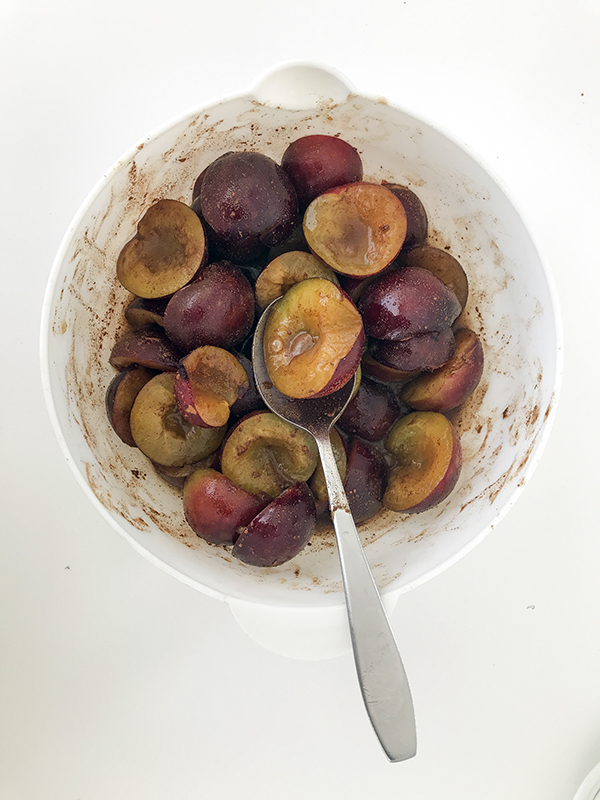 Halve and stone the plums and then mix them with the cinnamon and maple syrup in a bowl. 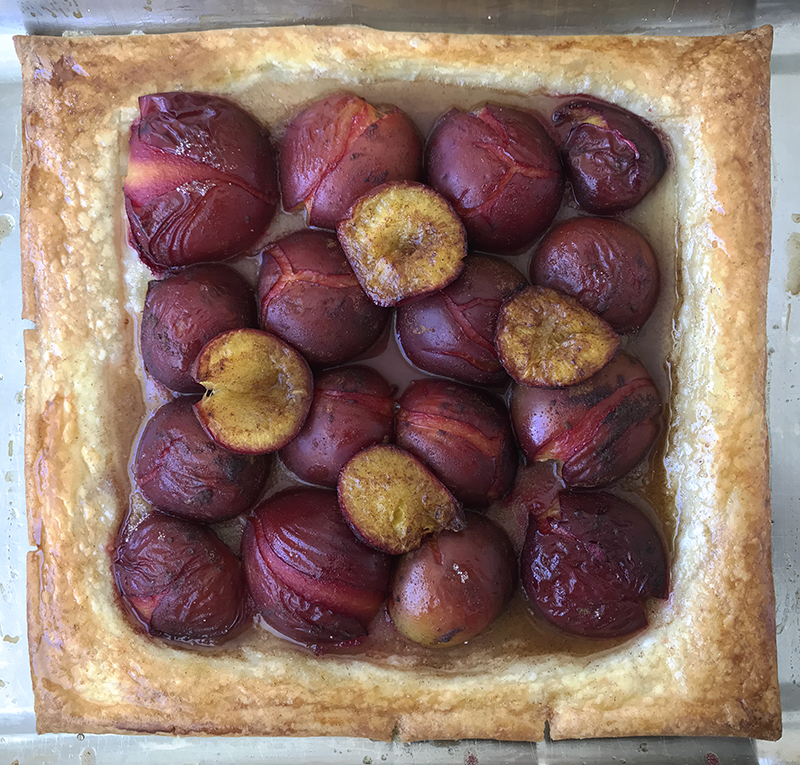 Using a sharp knife, partially cut through the pastry to form a border around the edge of the pastry and sprinkle the semolina inside the border. 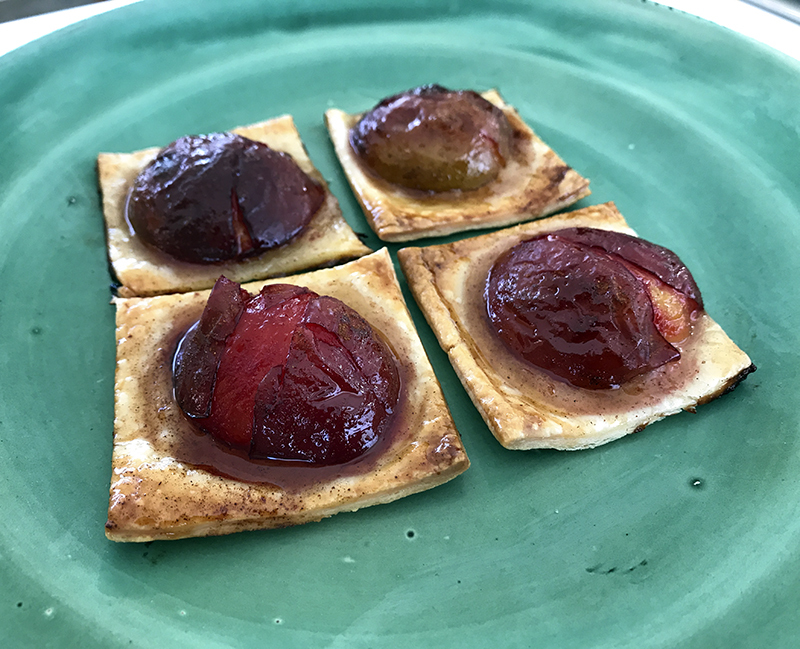 Place the plums, cut side down on the semolina and drizzle a little of the maple syrup over the top – it doesn’t matter if you have some maple syrup left as you can use it as a sauce to serve with the tart once it is cooked. 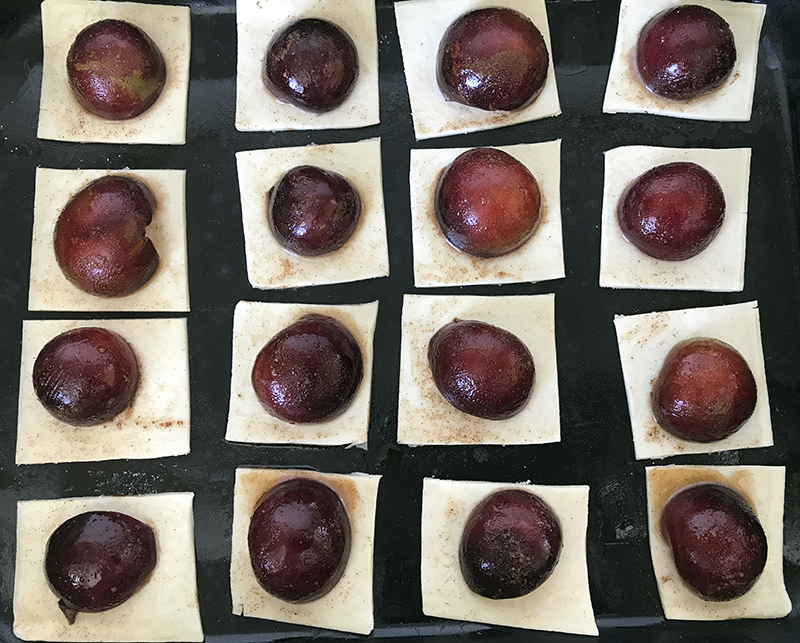 Glaze the border pastry with milk to get a nice brown colour and bake in the oven for 15 minutes or so until the fruit is soft and the pastry is well browned. Whilst the tart is still warm, brush more maple syrup over the border. Serve warm or cold with whipped cream or icecream.